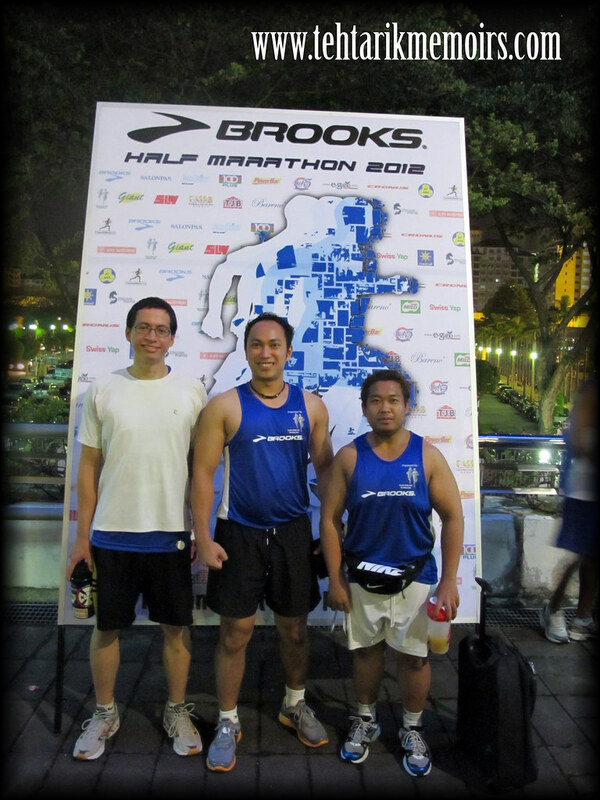 After a month hiatus from running on my side (due to travelling and lack of training during the month), the long awaited Brooks Half Marathon was something that me and my group was really looking forward to. Unfortunately because of some reshuffling within the group, we didn't have the same gang like before apart from Ash who is more than determined to get his running record increased this year. 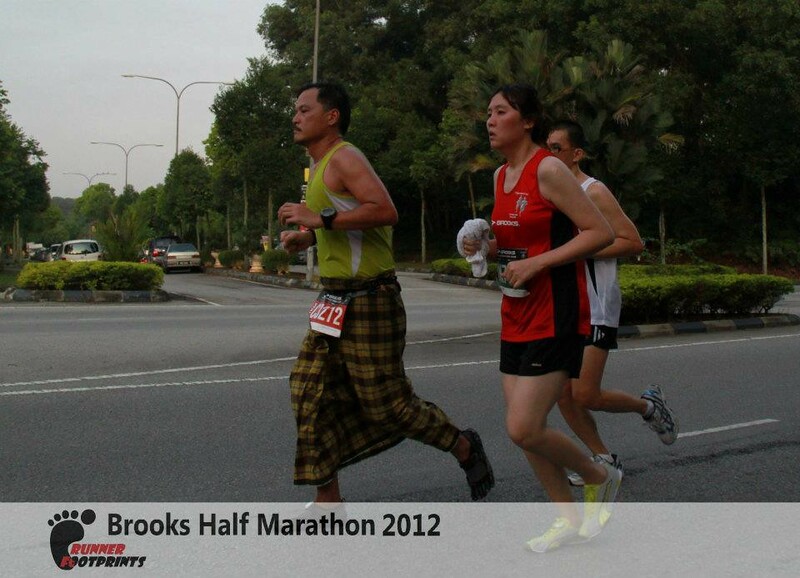 The Brooks Half Marathon has always been a keen favorite for a lot of runners here in Malaysia so it wasn't surprising that both me and Ash were registered for this for a while back already. 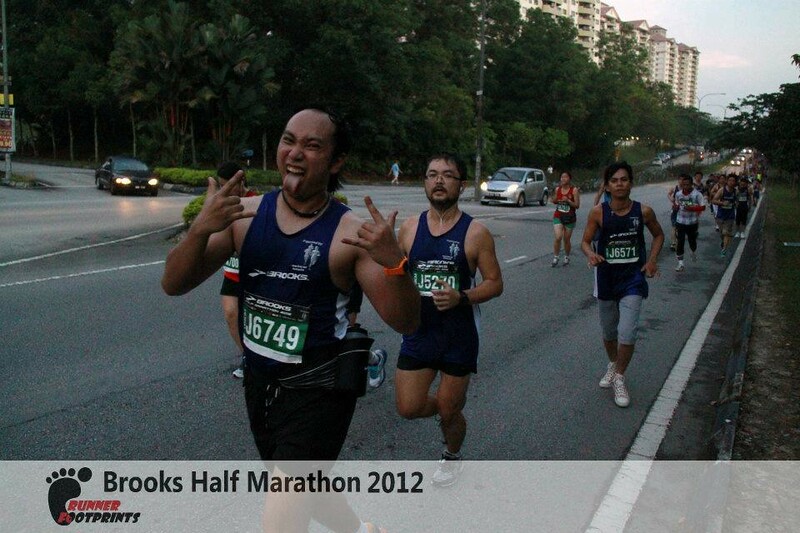 With Bukit Jalil as the running course, we were already expecting this run to be a tough one. 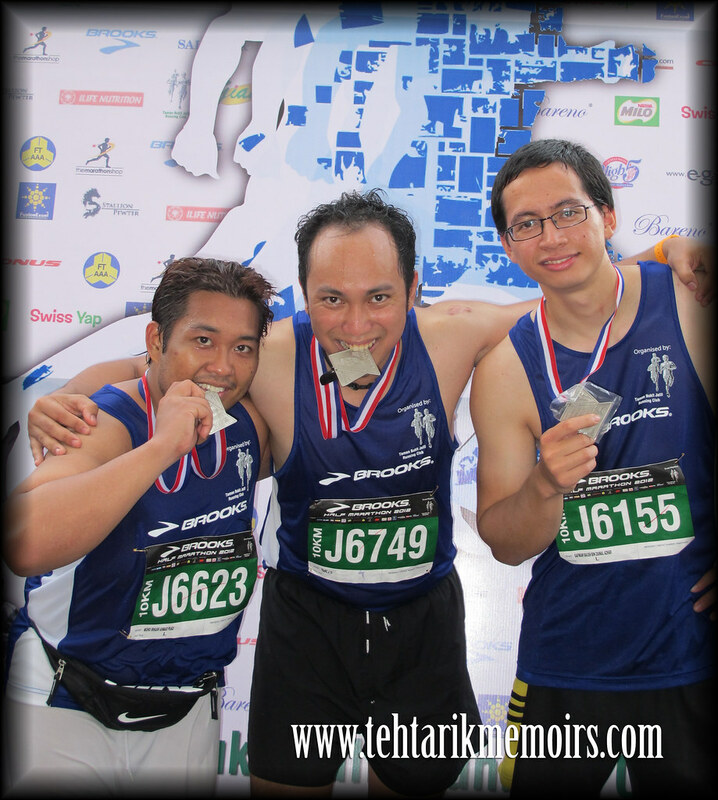 As per usual, the run consists of 3 different events, 21km half marathon as the main event, 10km run which we decided to participate and the 5km fun run. 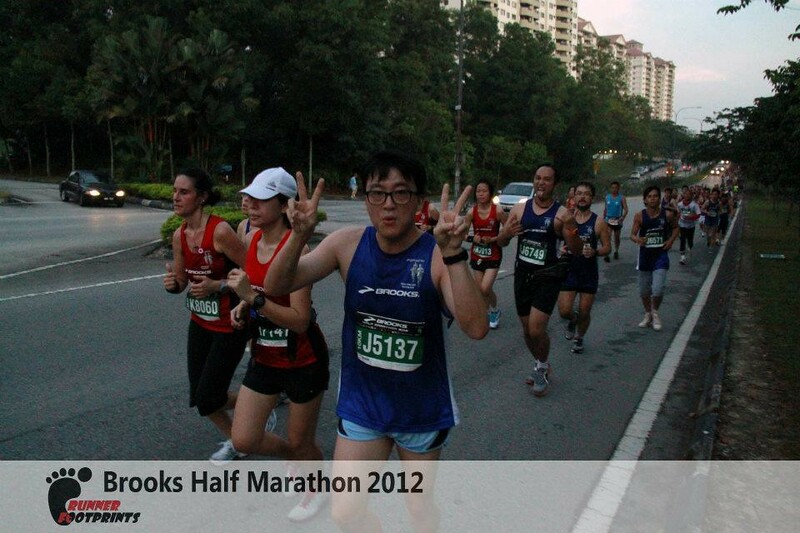 I was tempted to break the "21km virginity" with this course but decided against it in the end. As we did our warm ups, we were also mentally preparing ourselves with what was to come with the running course. 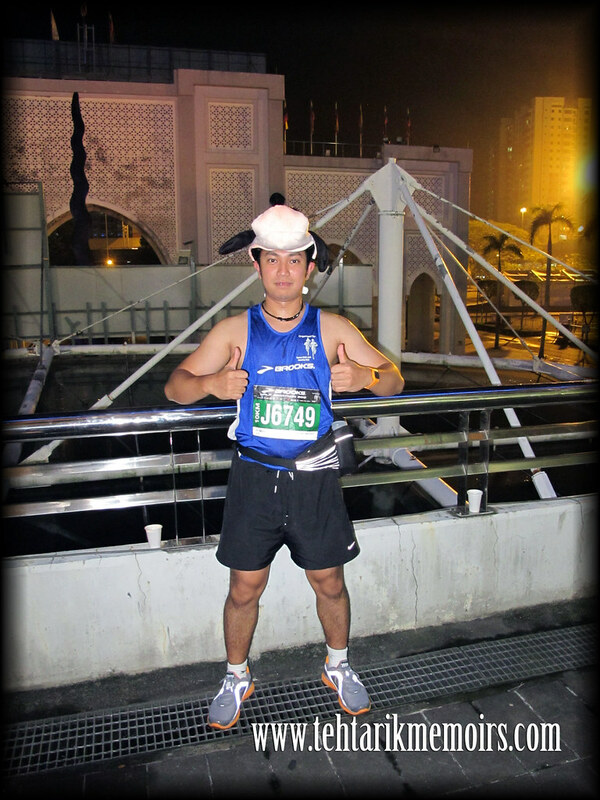 Truth be told I was slightly disappointed with the organizers for this run as there were lacking of signs for places to put your luggage as well as lighting was seriously insufficient during the run, especially during the starting point! Regardless, the course was a grueling one to be exact. 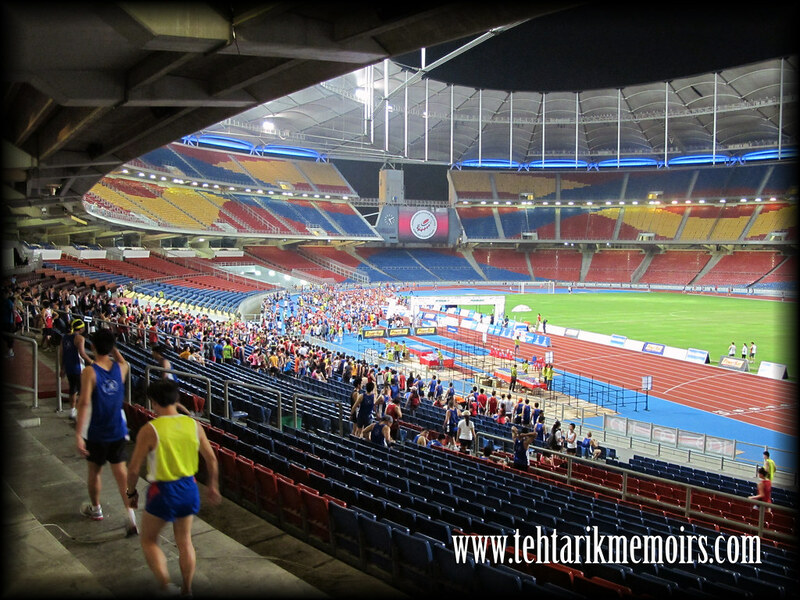 Ash managed to drive around the area a couple of days before and we were expecting lots of hills with punishing terrain throughout the way, finishing off with a lap inside the Bukit Jalil Stadium itself. So as we started, everything went well within the first kilometer. Both Ash and Saf were being two little douchebags by leaving me behind for a bit during the starting point, despite our initial strategy to run together. 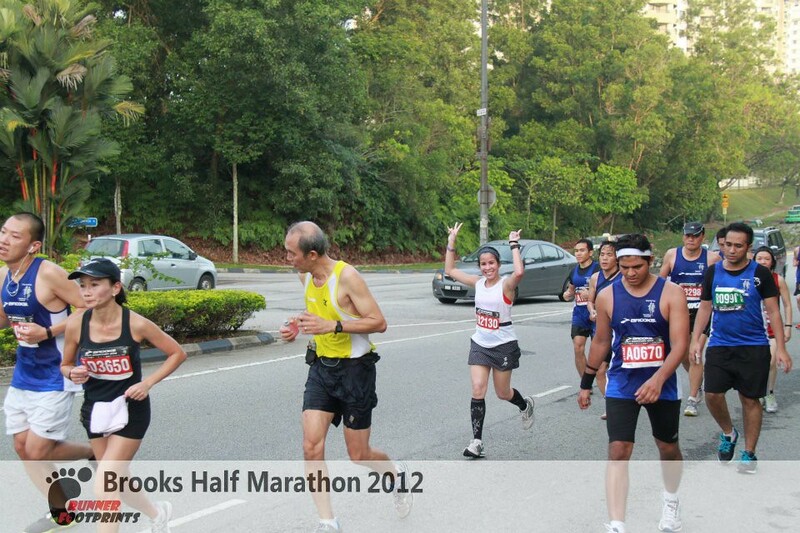 Regardless managed to catch up with them in the second kilometer. At kilometer 3, roads were still dark but there were some douchy drivers that were driving friggin dangerously close to the runners, despite areas being designated for runners. I even gave one a friendly "finger gesture" to one after a motobike almost knocked me over. Douche. Kilometer 5, the sun was coming up and I thought that the worse part of the hill was over. That time we were passing by the stadium so we figured the worse was over. Once again, we were diddly squat wrong. At kilometer 7, I was walking a lot and decided to walk up the hill and start running like a bat out of hell on the downhill and flat roads. 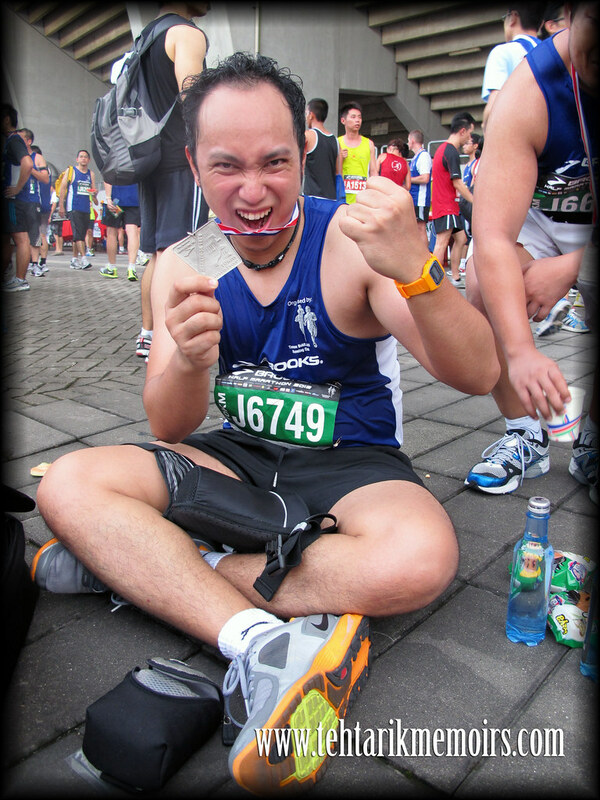 At kilometer 9 I was cursing to myself with that useless strategy because the impact made the pain on my knees worse. 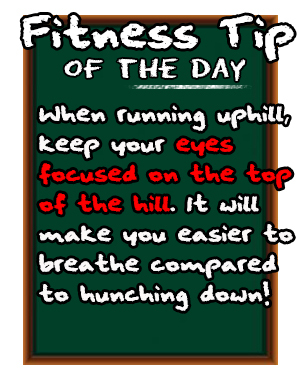 So, invert strategy of walking fast downhill and running up every hill I had to encounter while constantly saying to myself "kill the hill, kill the hill, kill the hill..."
The lead up to the finish line was a little surreal to me. Never would I imagine that I would be running inside the Bukit Jalil Stadium and for the first time, it kinda hit to me that I was about to complete me second run for the year. 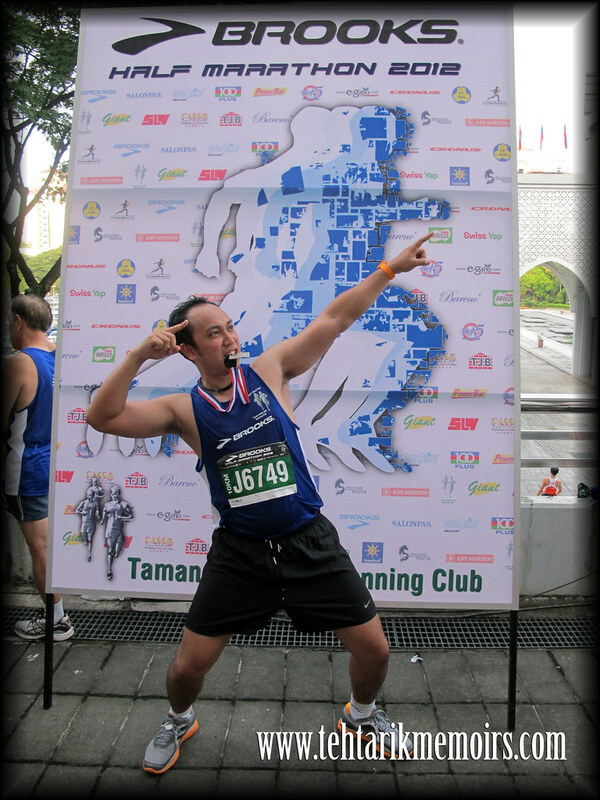 And thus I did, with an unofficial time of 1 hour 16 minutes and 38 second (according to my ultra modern 10 ringgit stop watch). All in all I would have to say that there were some shortcomings within the run itself but I was ecstatic to complete this one. So with March's run done, next up is April's Energizer Night Run! Gotta train for that one! haha posing tak ingat. 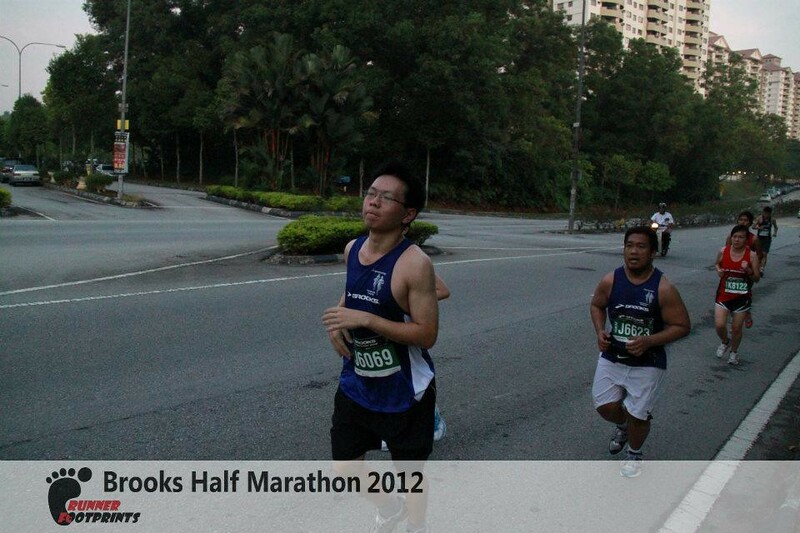 thx for dropping by my blog and keep running! hi there, last kidney run, i walked for 7km. 10km? uh uh..if u already register for Energizer, c u there! give it a go, you never know! checked out your pics for the event and it was bleeding awezum! i saw the fella from far and I did what i had to do haha! thanks so much! hope to meet in the next run! 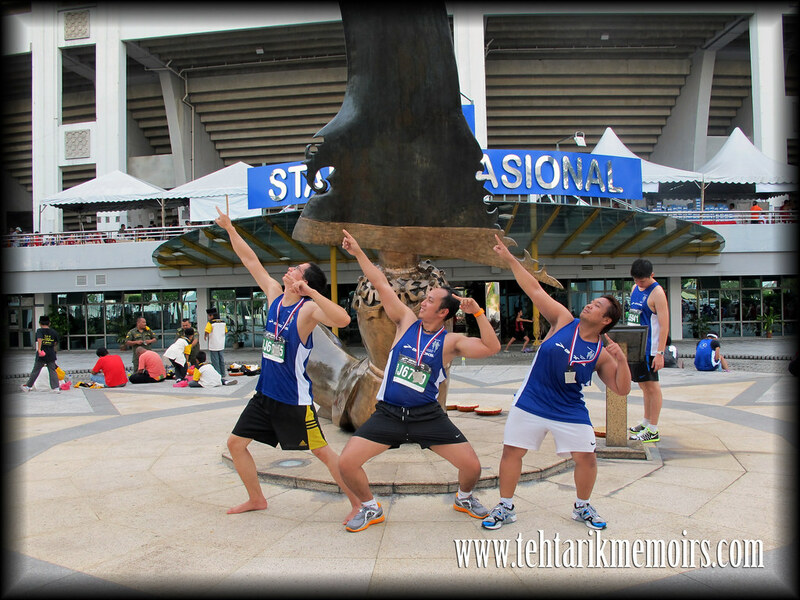 haha kena ade trademark pose, baru la! i bet for energizer you WILL run the whole way! see you there!